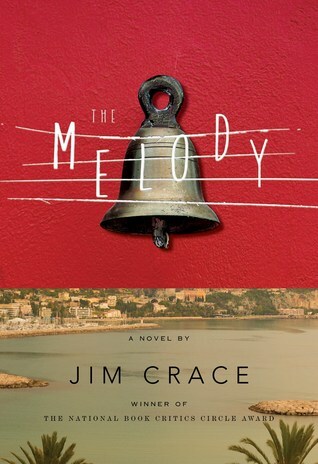 The Melody by Jim Crace is a recommended allegorical tale about ageing, urban renewal, family conflict, and grief. Alfred Busi is a famous singer in his sixties living in his family's villa overlooking the sea in unnamed town. He still occasionally performs, but mostly for small crowds. He is still mourning the recent death of his wife. His town is going to honor him the next evening, when he is attacked by an intruder. He thinks it was a wild feral child while his sister-in-law, who comes over to bandage him up, thinks it was a cat. This attack and a news account of the attack, along with pictures of Busi in bandages, sets off a chain of events, including a drive to rid the town of the poor after Busi was subsequently mugged. Busi also has to handle his nephew who wants him to sell his villa so seaside condos can be built on the land. First, the prose is distinct and startling at times, with unique descriptions. His first attacker is described as something fierce and dangerous, wild and innocent, with smooth skinned that smells like potato peel. It creates a visceral image that sticks in your mind. The setting the rich against the poor was certainly a morality tale for our time. The narrator is removed from the story, simply telling the story, until we learn his identity later in the book. Crace is, as he describes himself, a fabulist. But, even with parts that were amazing, I'm going to admit that this was a tough story for me to get through. There were parts that were intriguing and brilliant, but other sections simply didn't hold my attention. I appreciated the reflections on grief and the loss of his wife. I wanted to love The Melody, but it ended up just being an average novel with bits of brilliance. Disclosure: My review copy was courtesy of Knopf Doubleday.